Tracheostomy is a life-saving procedure done electively or most commonly in emergency basis. In patients with diagnosed case of cancer in upper airway tract they usually require tracheostomy at some point of time during their whole treatment procedure. Patients receiving radiotherapy or chemotherapy or combination of these are at high risk of developing post treatment changes in neck anatomy. Redo tracheostomy due to any reasons in such types of patients is a surgical challenge. 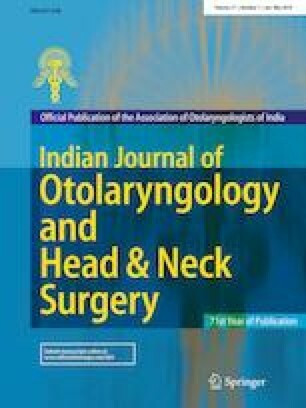 The purpose of this article is to share our surgical technique in redo tracheostomy. During a period of two years 39 patients with diagnosed cancer in head neck region underwent redo tracheostomy at the hand of the author. Twenty-six patients were had received chemoradiation for their primary cancer and 6 patients were planned for second surgery due to recurrence disease in oral cavity. Reasons for redo tracheostomy are: sixteen patients were post chemoradiation on follow up with accidental expulsion of tube, 17 patients were recurrence/residual disease and 6 patients were plan for second surgery due to recurrence disease. In 9 cases the surgery was started by other doctor and taken over by the author due to profuse bleeding (5 cases) and failure to localised the trachea (4 cases). Among the 39 patients successful redo tracheostomy was possible in all. Mild surgical emphysema was encountered in 3 patients which was not significant. There was no other complication related to tracheostomy till the patients were discharge from the hospital. When redo tracheostomy is required in a post chemoradiation patients maintaining the proper dissection plane and procedure is important to avoid unnecessary complication intraoperatively. Informed consent was taken from all the participants included in the study.